In a decisive move, Judas and Charlotte travel to the one place he vowed he would never enter under any circumstances: the bowels of Hell itself. To end the war that rages above them, they must battle their way through terrifying creatures of titanic proportions to use the holy relics contained within Charlotte against Lucifer to put the Lord of Hell down for good. Meanwhile, on the surface a weary band of survivors lead by Gary Cross and Colonel Nathan Taylor mount an expedition to gather vital data in the hope that it will provide a scientific solution to a supernatural problem. And above them all, the forces of Heaven wait with bated breath, eager to receive the command to enter the conflict and prevent humanity from annihilation at the hands of the forces of Hell. In a gore-filled, apocalyptic finale to the trilogy, can Judas and Charlotte triumph or will Lucifer finally reign supreme? Whoa, this may be the last book in the super series but wow what a way to round it off. The world is in utter chaos as Lucifer and Co. are gaining ground in their take over to reign supreme not just in the bowels of this planet but above ground too. The violence is escalating as eruptions bring more vile demonic creatures from Hell itself to the surface. Judas vowed that he would never go back to Hell but he didn’t have Charlotte at his side before, failure means the end of mankind. It is action all the way with the Big Guns on the side of good making one or two appearances too, including the big guy himself! (Loved his naughty confession) Brother fights brother on the higher plains while demons are putting up one hell of a fight against the mere mortals that have become heroes in the previous books with some not making the final chapters. There was only ever going to be one way to end this as Judas and Charlotte make their way down to Lucifer. Roy Bright opens up one giant kaleidoscope of imagination on this journey to Hell where everyone’s experience on the way down is quite unique. This part of the story was my favourite. It is unique, unpredictable and scared the Hell into me. Just perfect! You will have to make the journey yourselves to find out. I have loved the relationship with Judas and Charlotte from her being a child of 6 to now a woman. What a team! He started as a guardian but boy are they so much more, the ultimate father and daughter partnership. Their battles in Hell make everything else seem like kinder garden that has taken place before. I am drooling and in one heaven of a frenzy as I know that this story is winding up. OMG what a perfect climactic conclusion. Loved the whole series! Roy Thomas Bright was born 22nd October 1971, in Manchester and grew up in Burnley, East Lancashire. He received his secondary education at St Wilfrids C of E High School in Blackburn and upon leaving decided to join the Royal Navy as a gunner. The need to patrol some of the worlds ‘hotspots’ allowed him to travel the globe extensively, and he was very fortunate to see a vast number of exotic countries and different cultures. In 1998, Roy decided to leave the Royal Navy to pursue a career as a professional musician. Having been a musician since the age of six and able to play a plethora of instruments, Roy went on to experience many highs in his first band ‘deponeye’ until that ended in 2004. In 2005 Roy started his second band Exit State, which enjoyed great success touring all over the UK and parts of Europe, a No.1 video on Kerrang TV’s Most Requested show and sharing the stage with the likes of Michael Schenker, Blaze Bayley (Iron Maiden), Esoterica, Dave Evans (AC/DC), The Black Mollys, Forever Never, Black Spiders and Neil Buchanan’s Marseille. Following a successful tour with guitar legend Michael Schenker in 2012, Exit State were delighted to be invited to become Patron’s of the Children’s Hospice Arts charity chARTUK, an organization Roy is still a proud patron of, whose amazing work aims to enrich the lives of children and young people with severe disabilities and life-limiting conditions in hospices through the creative, performing and literary arts, enabling individual expression, creativity and communication. It was in late 2012 while enjoying touring downtime that Roy decided to pursue one of his other creative passions – writing. 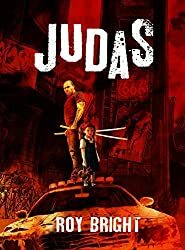 The idea for Judas had been sitting deeply within his psyche for some time and the amalgamation of the original idea fuelled by the lyrics in the rock song What Have You Done by Within Temptation finally saw him put pen to paper. A massive and steep learning curve followed, but he was fortunate due to connections made from his time within the music sector to receive exceptional advice from a number of sources. An introduction by Exit State’s manager Mark Appleton to Stephen Clegg, the author of Maria’s Papers, proved to be an invaluable one as Stephen’s help and guidance was key in ensuring Judas was worthy of being published. 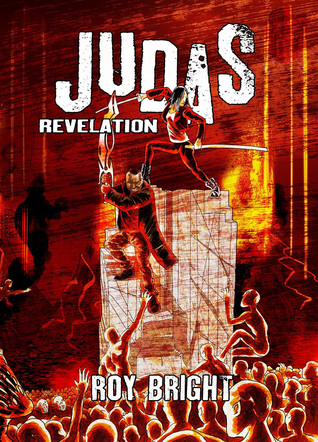 In 2012, Roy published Judas via Whiteley Publishing. He then re-published a second edition of the novel via self-publishing in 2016 and hasn’t looked back since. 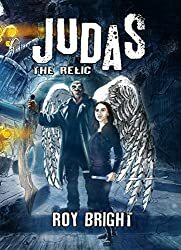 Roy is thoroughly enjoying writing more and more, including screenplays with his screenwriting partner Mike Harris and has penned a number of original scripts, including the Judas stories. Roy has now begun work on a ‘Book Zero’, which details events happening in and around the same time-frame as the first Judas story. Roy has three children, Reece, Tyler and Lily.